Retail $17.45 SAVE 20% ! Tubes are individually packaged in clear plastic tubes and bar coded for ease of sale. Just shorter than 36 but I make it work to make my geometric pieces. 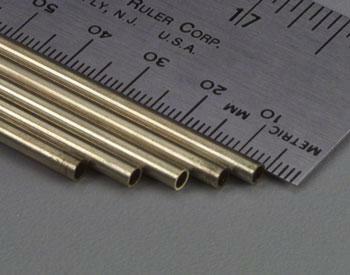 I have purchased a few different brands of brass tubing to with, and have found this one to be the most durable, and easy to cut! I love that I can depend on a quality product every time I order. Great product! Superb quality, and packed really well. It cuts cleanly with no ragged edges. I recommend this product for all of your craft needs.